In the meantime, I’d add Ulvenwald Hydra and Reap and Sow as more means of tutoring out the stage/dark depths combo. 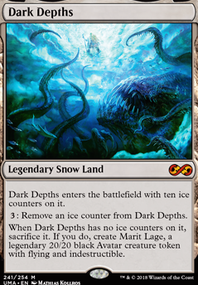 If you can afford it, I’d also make all of your basics snow-covered so Into the North is not a completely dead draw if you draw it with dark depths already out. One of my favorite cards to use in a land deck is Liege of the Tangle . If you want more fetch, Ulvenwald Hydra seems like a good fit for this deck. 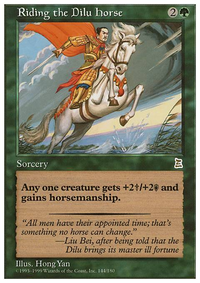 Also, since the goal is to get a big commander, Selvala, Heart of the Wilds can provide huge ramp. 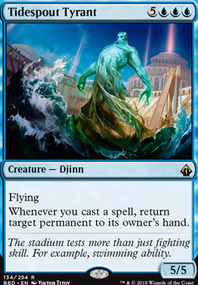 And Titania, Protector of Argoth can help get more benefit from graveyard interaction with your lands. As for defending yourself, Constant Mists works really well with graveyard land decks. Groundskeeper and Overlaid Terrain are also really good, but the latter can be risky if you’re not prepared when casting it. edengstrom1 on Lands on deck! Looks like a pretty good start. Tatyova seems like she would be a fun commander to build around. Have you thought about adding Sakura-Tribe Elder , Wood Elves or Farhaven Elf as creature ramp? They all put a land onto the battlefield, and can trigger Tatyova and any Landfall triggers you have out. As far as win-cons, both Avenger of Zendikar and Liege of the Tangle can take advantage of all the land you will more than likely have. Creatures like Multani, Yavimaya's Avatar , Ulvenwald Hydra and Oran-Rief Hydra all get bigger the more lands you have. Looks really fun! One thing I note with this list is that your land really count is really high given the amount of dorks and land ramp you have access to. I think that you can easily go down to 35, and probably even less. I'm also a little wary of how few ways there are to give Grunn some kind of evasion. Maybe something like Loxodon Warhammer is in order. Nykthos, Shrine to Nyx is essential. It could probably replace one of the taplands or something slow like Heart of Yavimaya . If Nykthos is in, Voyaging Satyr should be too. Rampaging Baloths seems very good given the huge amount of land ramp. Could replace Shefet Monitor . Worldly Tutor would be great if you get get your hands on one. Heroic Intervention is worth thinking about since you are weak to board wipes. Evolution Charm could provide some good utility. Life from the Loam would be good, and could become great if you max out on cycling lands. Karametra's Acolyte , Somberwald Sage , Boreal Druid , and Priest of Titania (!!) are all dorks I don't see here. Somberwald is probably the worst of those, and Priest is probably the best given your fairly high elf density. You may want to replace your worst 4-mana land ramp spells with these cheaper dorks. Exploration and Burgeoning are always great, but they are of course not cheap. I'm not sold on Unstable Obelisk , Moss Diamond , or Mind Stone here, since they don't play well with your landfall backup plan and they don't provide a body to attack/block with. You could probably replace them with some of the dorks I listed above. World Breaker is reaaaaallllyyy slow, and you don't have a way to sacrifice it. It might be a good cut. Ulvenwald Hydra might be too slow. You already have a million land search effects, so it feels unnecessary. Wood Elves seems like it could be cut. It just doesn't seem great since you have no way to trigger the ability again. I agree for point 1-7. The original reason I put in Expedition Map is that I based the deck around the 6 flash-enablers. Theres no way to tutor for Vedalken Orrery and Leyline of Anticipation , and only Momir to tutor for Teferi, Mage of Zhalfir and Yeva, Nature's Herald . So the Map is my efficient way to tutor out Alchemist's Refuge and Winding Canyons . 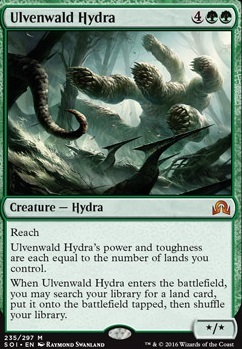 I would shift over to a Ulvenwald Hydra for this purpose but I do not have one. Void Grafter is just part of the 'my creature can do what an instant can do' such as Dive Down or Mizzium Skin but I guess this is pretty situational and I would have to leave 3 mana open always. I agree for the cuts to Kiora's follower, but not for Gyre engineer. Both were meant to be manadorks and I was guessing I need to ramp fast to be able to cast things on multiple turns. 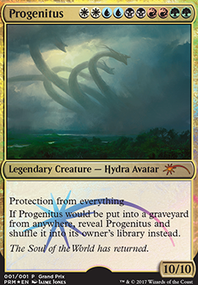 Genesis hydra was just thematic of the 'cheating creatures out'. For Prowling Serpopard/Gaea's Herald, it's not really needed in my playgroup, since I'm the one that usually plays counterspells most of the time. I'm looking to slot in Kederekt Leviathan for a 'cyclonic rift' effect that can be used twice due to unearth. But my considerations are that I'll need to build up my board again, so this would probably be used more when I'm behind. So i've opted to put in Profaner of the Dead and Scourge of Fleets as my AOE boardclear instead. What are your thoughts on adding the Leviathan? Cream of the Crop - Topdeck manipulation. I had lent my copy to a friend who plays exclusively Green+something. Land recursion Sidisi, Brood Tyrant is indeed a strange way to play her. 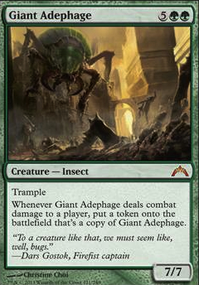 You're gonna want a lot of creatures to hit the grave for her ability and you want a lot of hate lands in the deck, have you thought of reconsidering Muldrotha, the Gravetide as your commander, as it allows for a free land per turn as well as other benefits. Spore Frog is great against aggro, if that's what you're struggling against, the little frog is your best hope, I would take it over Songs of the Damned anyday. Additionally Constant Mists is perfect for fighting aggro with land recursion! 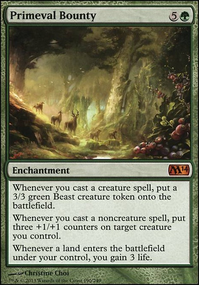 Lurking Predators is a heavy cmc card for a benefit that might not work, I would consider Multani, Yavimaya's Avatar for an extra creature that can bring itself back. Strip Mine is needed! I would actually take out Perpetual Timepiece as it's a danger to you if you don't have 2 mana up and someone exiles your grave, additionally, if you want to keep it up, you have to play with 2 mana up at all times. Path of Discovery is a great card, but Courser of Kruphix is a better one, and so it Oracle of Mul Daya . I would also run more basic lands, because having 5 in total, with Yavimaya Elder that gets you 2, Sakura-Tribe Elder and other land fetches makes it them very obselete. If you wanna run that many basics, consider adding Ulvenwald Hydra that fetches you any land into play and possibly Vorinclex, Voice of Hunger for double the mana and super hard control. Splinterfright is cool, but Sylvan Library is cooler. Other cards to consider are the following: Exploration or Wayward Swordtooth for more land drops. Avenger of Zendikar is great to abuse for sac outlets and get those land drop triggers! Last but not least: Sylvan Safekeeper a must in all land recursion decks!